I’ve been thinking lately about ancestral spirits, particularly my two grandpas in this lifetime, who’ve both passed away. Or rather, their energy has transformed from this earthly realm into whatever is next. Both of them served as soldiers in World War II. 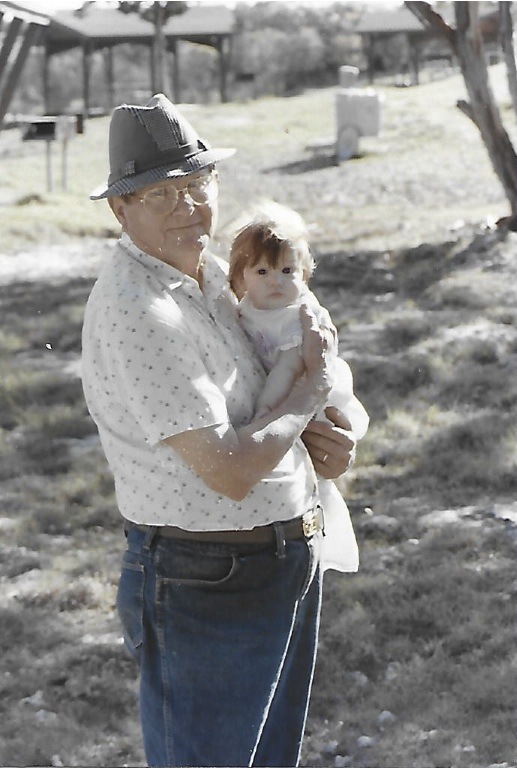 My paternal grandpa, Bennie, was born on April 6, 1918, a Czech-American in rural Texas. I know sadly little about his life. He was extremely reticent and died when I was 16. I remember always wishing I could get closer to him. He had a sweet spirit. I found out years after his death (which occurred in a nursing home in 1996; he went way downhill physically in the end) that he’d been given electroshock therapy treatment. So that explained a lot and makes me profoundly sad—and mad. Did you know Ernest Hemingway also was given electroshock treatment for “mental illness,” which was certainly a factor in his suicide? As I’ve been studying the Mayan calendar of late, I recently discovered that my Grandpa Fajkus’ Mayan astrological sign is the same as mine, Deer. He was a 4 Deer, and I am a 6. My maternal grandpa, Norbert Gonzales, was born on June 6, 1922 in San Antonio, Texas, the first of six kids in a poor Mexican family. He and my grandma were high school sweethearts. He joined the military after graduating from high school and served with the Flying Tigers in Burma and China. War is an experience I cannot fathom. A terrible tragedy. Humans inflicting violence upon one another. Men killing men with weapons. Cultures clashing violently against “other” cultures. My grandpa Gonzales rose up the ranks in the U.S. Air Force and eventually became a full Colonel. He was retired by the time I was born, so he and Grandma would go traveling around the world on cruises to exotic locations. They would play bridge and Mah Jong with their friends when they were home in San Antonio. He died at 82 in 2004. I flew home to Texas for the funeral from the San Francisco Bay area, where I was living at the time. I was 24; I remember not wanting to look at his body, but I did. I wished I hadn’t, because now I would remember him dead, not alive. Unlike Bennie, he had been a lively, outgoing man. A jokester, stubborn, sharp, funny, charismatic and loving, he could sometimes be stern and rigid. When my grandparents celebrated their 50th anniversary in 1995, almost 10 years before he died, he was still strong and healthy. His decline was steep at the end; he also died in a nursing home. It was incredibly difficult to witness. Now, we (some of us, more of us) have realized that it isn’t our country that matters, it’s our Earth. The planet is in danger if we don’t stop with the incessant warfare and destruction of Mother Earth via excessive production and consumption, depletion of animal resources, extinction of animal species and the many other major challenges facing us as a global society. Still, I am grateful to my grandfathers for who they were and what they did in their lives. I am grateful to my grandmothers for who they were and what they did in my life. For the way they supported the men who went off to fight. The way they raised the next generation. I feel their spirits in me, and the spirits of their fathers and forefathers, as well as those of my grandmothers and-great grandmothers, all the way back down the line. Previous Previous post: Monkey Be. Monkey Do. Next Next post: Terrorists, the terrorized & me.